As you may already know the fight to put a stop to the unhealthy practice of public water fluoridation pushes onward. Last month we had a great turn out at the Durham County Public Health Hearing where citizens and activists stood in unison to urge our county health officials to recommend our city council put a stop to this madness. As promised, WTVD Channel 11 showed up to capture those who spoke up on video. This footage will be used in an investigative report due to air this November on the issue of Fluoridating public water. 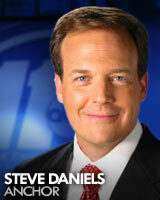 The monday after our meeting, I sat down with anchor Steve Daniels to discuss the whys and hows of this issue. I am pleased to report that WTVD is preparing a great informative report that is sure to bring incredible awareness to this issue. We already had great success in making our voices heard last month and was promised by the county health board that they would form a subcommittee in order to review the evidence which supports our position against Fluoridation. Unfortunately, almost 1 month later my sources say that the county health board has reneged on their promise and so far have not taken ANY action to form a subcommittee to formally review the evidence we are presenting. While discouraging, now is NOT the time to give up – rather – now is the perfect time to show our civil servants that WE MEAN BUSINESS! Thursday October 18th @ 5:00 PM there will be another county health board meeting and I am planning to show up and hold them accountable! Me and a few other activists are planning on using our allotted speaking time to play a short informational piece on Fluoridation, and to ask them politely why they have not looked more thoroughly into this issue. Afterall, it’s our HEALTH that is at risk! Side Note – If you are interested in removing Fluoride from your tap water without petitioning your city government to do so, you are now able to order the proper filters via the DurhamAgainstFluoride website! The filter advertised is what I personally use and recommend and is specifically designed to remove the noxious cocktail of chemicals known as “FLUORIDE!” ALL Proceeds from the sale of these filters will go towards more flyers, more activisim and more advertising for the ANTI-FLUORIDE movement in Durham! !